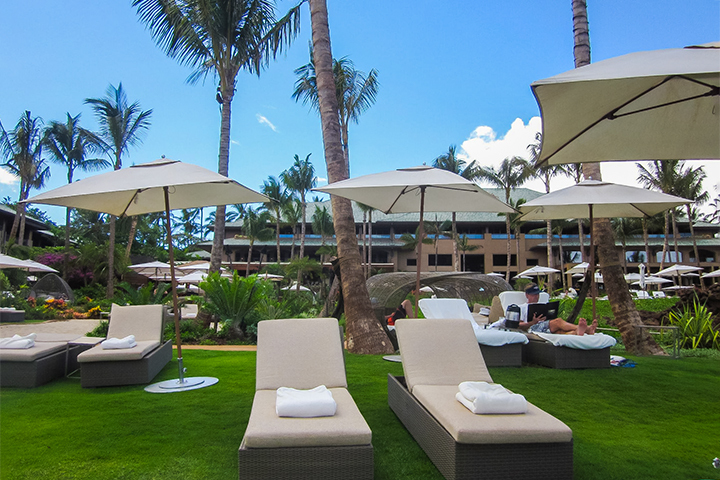 A scene at one of the luxurious Lanai hotels. Unique from other islands, Lanai is a fantastic combination of Hawaiian authenticity amid the splendor of resort life. The island, once an expansive pineapple plantation, is now a premier vacation destination. Here, guests can escape teeming crowds without compromising on the quality of their stay. 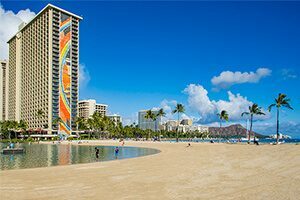 There might be fewer options available than busier islands such as Oahu or Maui. But travelers to the island of Lanai will find elegance, solitude as well as pristine beauty. Below, you can find more details on these fine Lanai hotels. The best of all Lanai hotels is the Four Seasons Resort Lanai. This is where you receive the ultimate in luxury and comfort. Its spas, swimming pools, tennis courts, golf courses, restaurants and more would satisfy the highest expectations. For couples planning honeymoons or destination wedding, it is the ideal location. This is because it has all the privacy and amenities you could imagine. There is also the Lodge at Koele, which is also a Four Seasons hotel. But it is currently closed and undergoing extensive renovation. The other hotel on the island is the rustic plantation- style Hotel Lanai in Lanai City. In 2012 around 98% of the island of Lanai was purchased by American billionaire Larry Ellison. The business tycoon has upgraded the island’s infrastructure to becoming fully energy efficient. 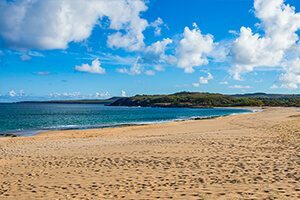 For this reason, environmentally-conscious travelers might prefer to choose Lanai over the other islands. Whether you plan to visit Lanai for swimming, diving, exploring or romantic holiday, this is the ideal getaway. 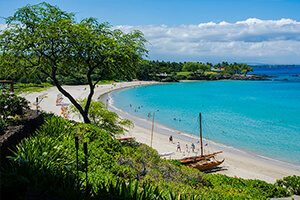 Panda ® Online can help travelers find vacation packages to Lanai. We’ll do this by combining flights, hotels, rental cars, and activities to maximize your savings. 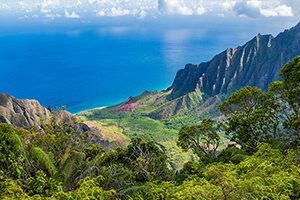 We are the largest travel wholesaler in the State of Hawaii. As a result, we are able to offer great savings on all-inclusive travel packages to our clients. Whenever you need excellent hotels or travel packages, we can help you plan the vacation of lifetime.